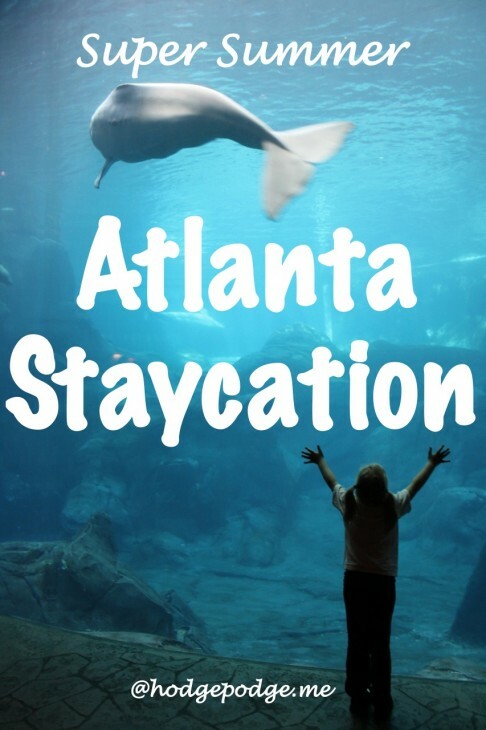 Yesterday I shared an Ultimate Atlanta Staycation with you. 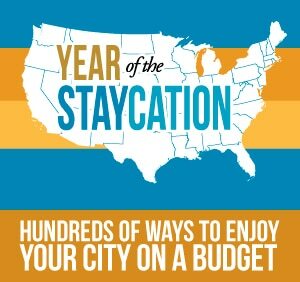 Today I have the pleasure of sharing hundreds of ways to enjoy your city on a budget with the fabulous bloggers below. So pin this post for always. And enjoy your STAYcation! Be sure to follow the Awesome Pinterest Staycations board! ~And don’t forget to subscribe to Hodgepodge for free art tutorials and more. We have the world’s largest hot air balloon festival, with a museum on site. We have the longest tram in the USA going up to visit Sandia Peak. Carlsbad Caverns is only a few hours away to visit the underground caves. White sands is also a huge white sand dune area to visit a couple of hours away. Old Town and Santa Fe with its native American history. Our zoo is awesome. Just had the arrival of a baby rhino and giraffe. Our kids also love the hands on science museum Explora. One last bit, our natural science museum is hosting the Titanic Exhibit until the fall! You get to sign on as a passenger of the Titanic (one from of the documented list of passengers). At the end of the tour you get to see that passenger’s fate. It is a great way to really bring the Titanic voyage alive. What an AWESOME list. I live in the Charlotte,NC area, but have been to Stone Mnt. My daughter is a competative Irish dancer and attends a Feis (fesh) that is hosted at the Stone Mnt resort every year. Unfortunately it is always in January, but it is definitely a place I’d love to visit in the Summer or early Fall. We also attend about 4-5 other Feis’s in the ATL area every year. We are really hoping to make it to the Aquarium and or the Coca Cola museum on our next trip. I’d especially love to visit the Aquarium as I have NEVER been to an Aquarium before. As always I enjoyed your post. Hoping this finds you well. Have a great summer.